Join us on the 31st January in raising awareness of young carers in 2019. The day, run annually by the Carers Trust, enables us to focus on the needs of young carers – whether at primary or secondary school. This year, Young Carers Awareness Day is highlighting young carers mental health and is using #CareForMeToo to raise awareness. 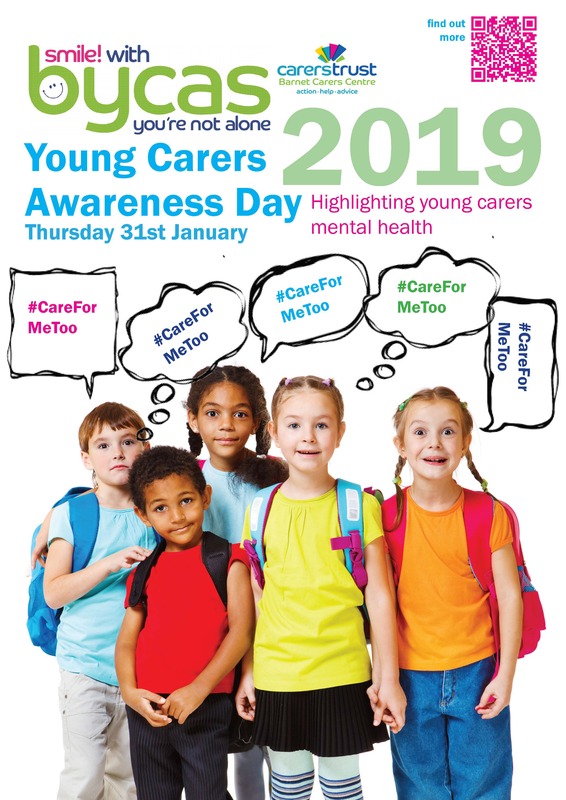 In Barnet, the BYCAS Team, have created some of our own posters for the day and intend to use Young Carers Awareness Day as a springboard for a longer campaign looking at young carers mental health over the next 6 months. 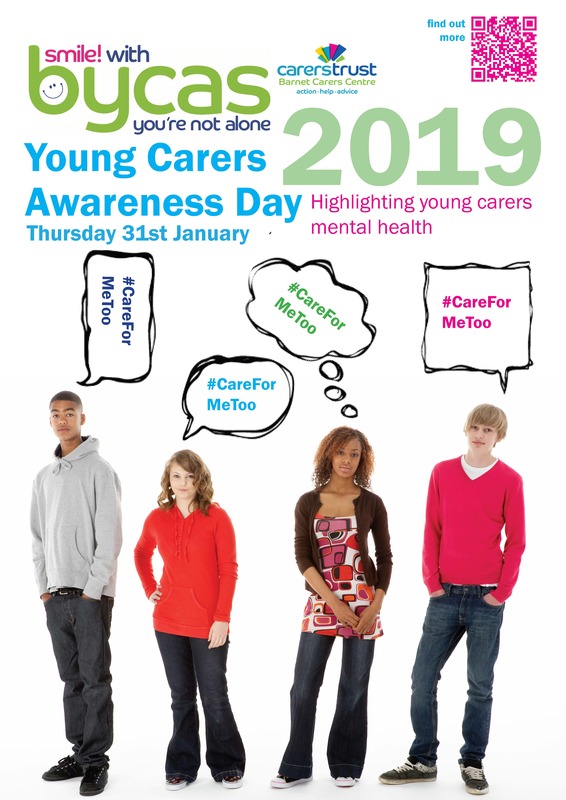 New resources will be available up to the 31st about Young Carers Awareness Day and #CareForMeToo and we will let you know as we develop more materials in the months to come. If you would like to speak to someone about how the BYCAS Team can help your school do more to support young carers please contact us. Young Carers often take on responsibilities that go beyond what we would expect any children or young people to do. Cooking meals, cleaning the house, running errands, providing emotional support, providing personal care. The life of a Young Carer can sometimes see traditional household responsibilities turned upside down. We understand that sometimes it is this added responsibility that can impact the Mental Health of a Young Carer. Having to juggle caring responsibilities; school/college and a social life is not easy. It can influence stress, anxiety and sometimes a sense of feeling alone in a situation with nobody understanding what they are going through. Therefore it is our responsibility to help people in Barnet to understand.